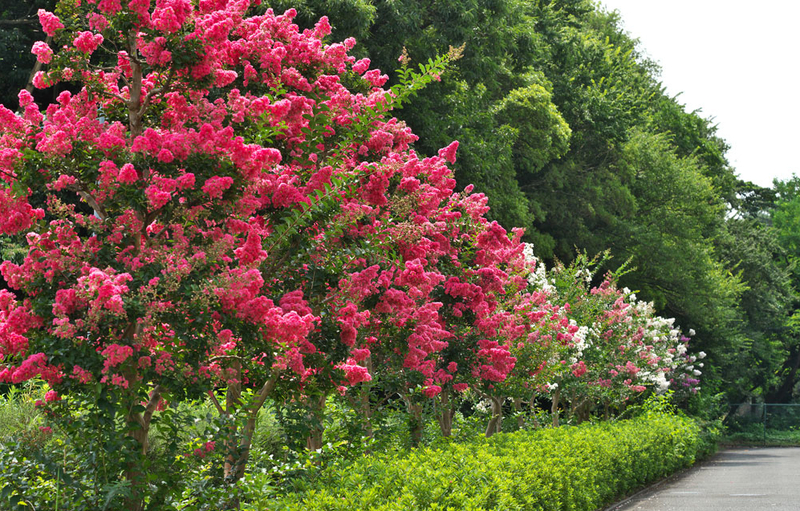 The crape myrtle is one of the most iconic trees of the southern summer. You can rarely drive throughout the Northern Virginia area during this season without seeing these beauties in bloom. They provide stunning color and are very easy to care for. 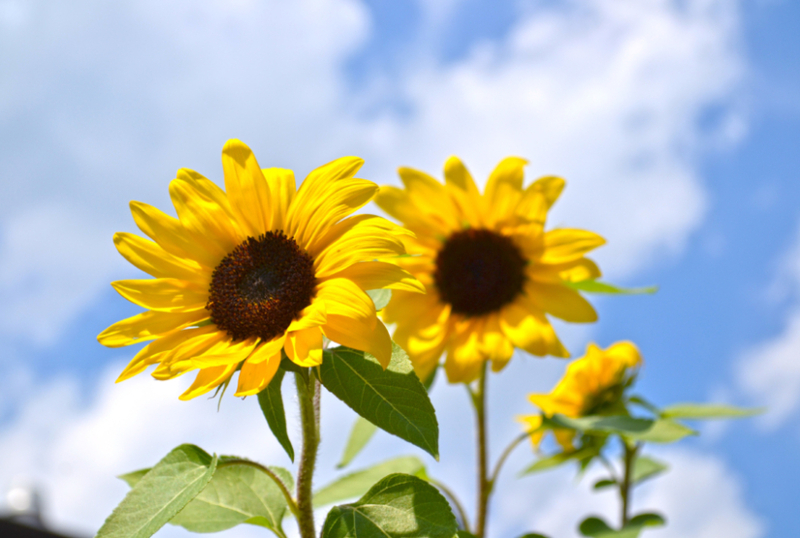 Generally, they don’t need a lot of water and will be happy with at least eight hours of sunlight. The warm, bright summers in our area actually make crape myrtles flower more. Because of this, crape myrtles can grow in places many plants won’t. 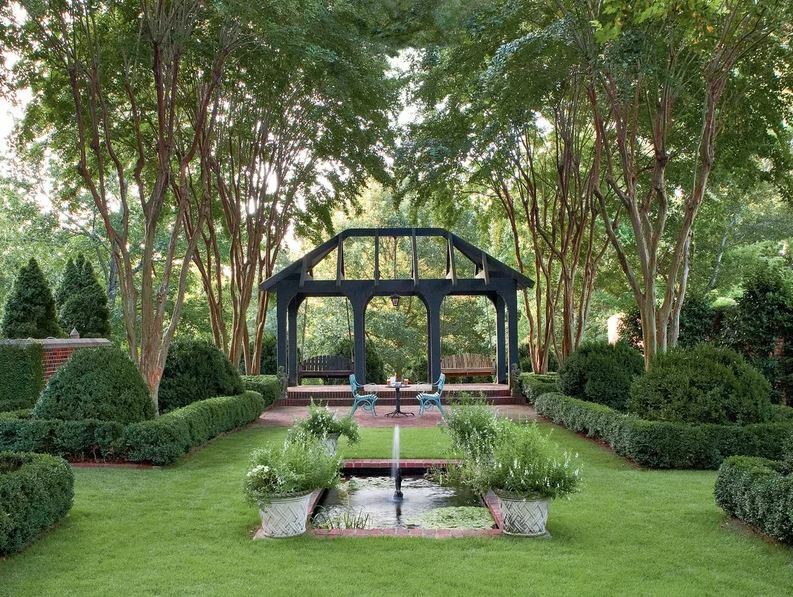 Crape myrtles come in many different varieties, including tree and shrub variations, making them a versatile plant that can be used in many ways in your landscape. 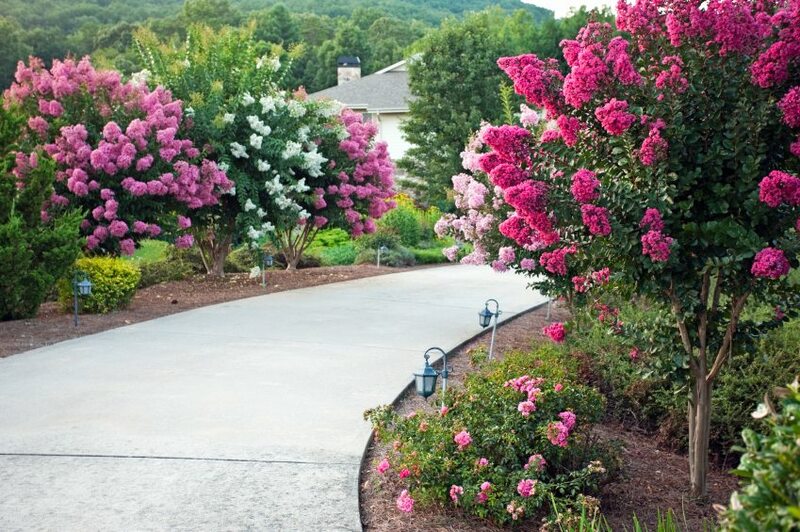 Here are a few of our favorite ways to make the crape myrtles shine in your landscape. With flowers in various shades of red, purple, pink, and white and leaves in shades of green, red, and black, there are a multitude of varieties available that make stunning specimen plants in any yard. 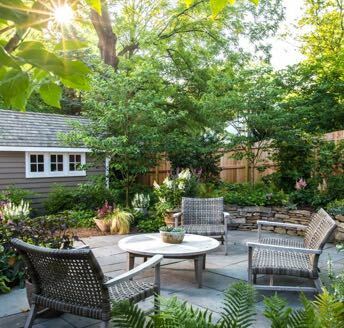 These deciduous plants make an excellent specimen, providing four season interest with new growth in spring, beautiful summer blooms, standout fall foliage, and smooth, white branches in winter. For nighttime interest, add up lighting to the base of the tree to illuminate their beauty against the dramatic dark backdrop of the night sky. Cherry tree: For blooms all spring and summer, plant cherry trees and crape myrtles together. The cherry trees will bloom through the spring, and just as their bloom is ending, the crape myrtles will begin to show off beautiful blossoms. Evergreens: With their year-round foliage, evergreens provide contrast to the crape myrtle’s trunk and branches in the winter landscape..
Nandinas: With their similar care schedule and multicolored foliage, nandinas add greens, reds, and yellows to your garden, complementing the crape myrtles’ colors in spring, summer and fall. Limelight hydrangeas: This particular variety of hydrangea has a similar bloom schedule as most crape myrtles. Their glowing white blooms will instantly brighten the purples and reds of your crape myrtle blooms. You can also make a wonderful white garden by combining the limelight hydrangea with a white flowering crape myrtle. These compliments will glow during fall evenings while both are in bloom. Create a relaxing summer space by using a crape myrtle to create shade on your patio. 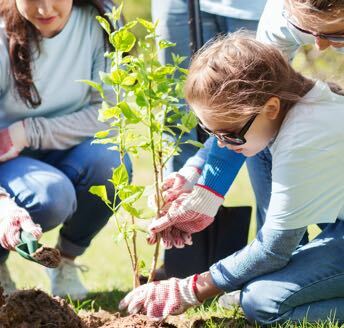 Crape myrtles are late bloomers and deciduous, which means in the spring you will have access to the warm spring sunshine as the tree leafs, and in the heat of summer your tree will provide refreshing shade and beautiful blooms. 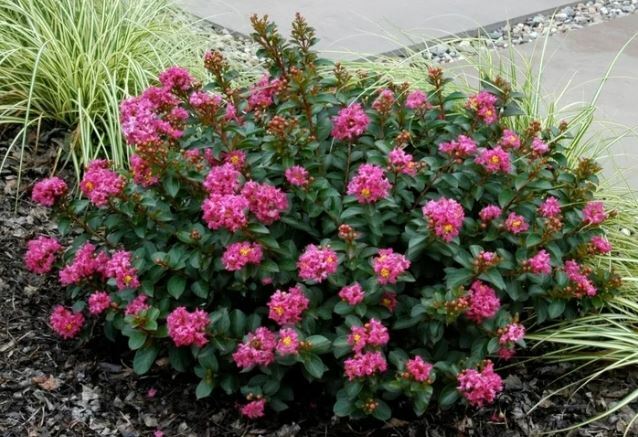 Miniature crape myrtles will only grow about 3 feet high, making them an excellent choice for a perennial border that will change with the seasons. They add great color to foundation plantings and shallow depth to your landscape.